We are pleased to say that people seem to be enjoying Torquil’s adventures. 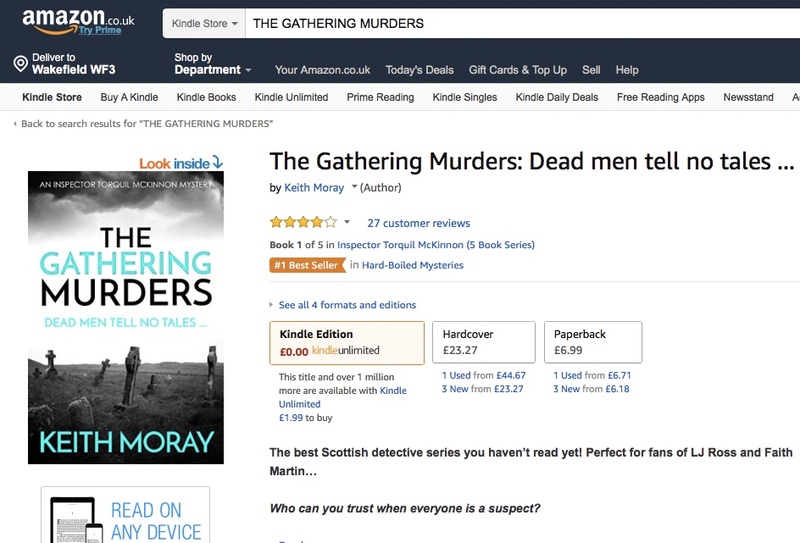 The first novel, THE GATHERING MURDERS has been Amazon Kindle No 1 Bestseller in Hard-boiled crime today, April 26. 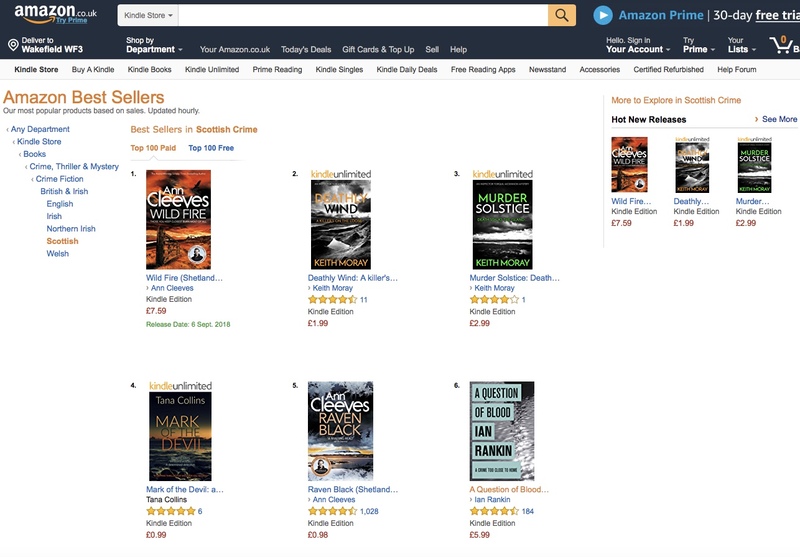 And on this same day, DEATHLY WIND and MURDER SOLSTICE (published today) are 2 and 3 in Scottish Crime bestsellers. And as you can see, we are in pretty exalted company! The fourth adventure, FLOTSAM & JETSAM comes out on May 1. The fifth comes out in June, so we’d better get on with the next!